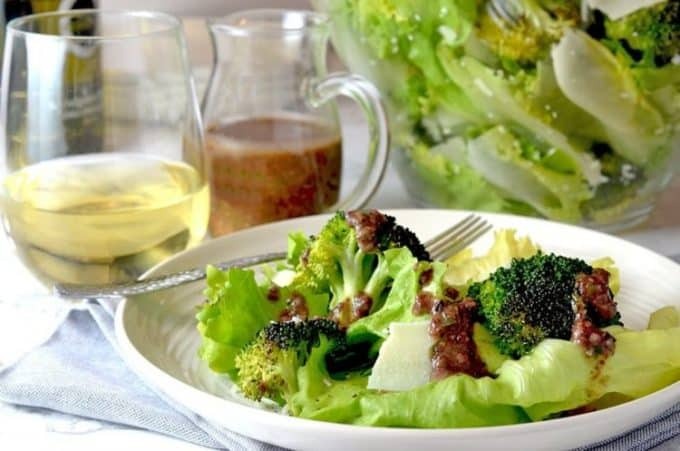 Escarole salad is a great way to familiarize yourself this this versatile and delicious form of endive. Versatile, healthy and green, you need to try this salad today. This past weekend, Scott and I helped put together a fun little project that we have been discussing for a couple of years now. Teaming up with one of my work colleagues, we formed a Saturday night dinner club. For our inaugural dinner, we decided to start with four couples and the hosts would prepare the main entrée with each of the other couples bringing an accompanying course. I quickly put my dibs in for the salad course and this Escarole Salad seemed to be a good choice to lend support to the short ribs recipe that the Larry and Margaret were planning on making. 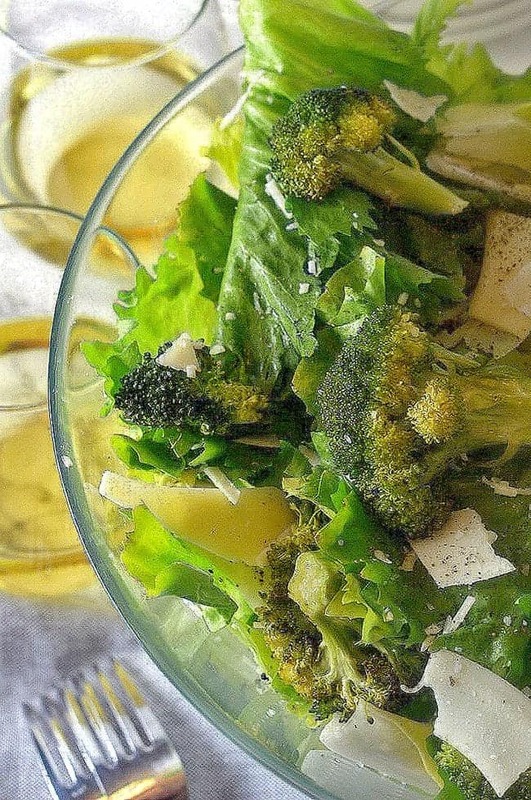 Part 1: I have never roasted broccoli before putting this escarole salad together. Part 2: I can’t wait to roast broccoli again. While the roasted broccoli was cooling, fresh out of the oven, our boys were picking it off the baking sheet and popping the warm, crisp vegetables into their mouths. Our boys don’t like broccoli. On that afternoon, our boys discovered a new fondness of broccoli. It’s that good. I asked Scoot to do some last minute research on the use of raw eggs and the associated incidence of salmonella occurring. His results were non-reassuring to say the least (up to 23%) and so down the drain went my first batch of dressing and from somewhere in the depths of my imagination came this version, which I found to be more flavorful and unquestionably safer. I scraped the egg component of this dressing, all together. In lieu of anchovies (or capers) I used kalamanta olives. 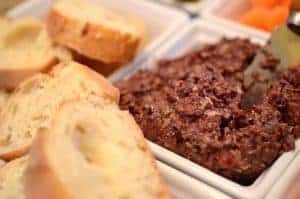 The result was a tapenade-flavor of dressing that worked just fine. Most telling, all eight salad plates at the dinner party were eaten clean by the end of the meal. Always a good sign. Stay tune for some of the other delicious recipes from that evening, we can’t wait to share them with you! A flavorful green salad that is full of health and flavor. 1 tsp salt kosher. Salt to taste. 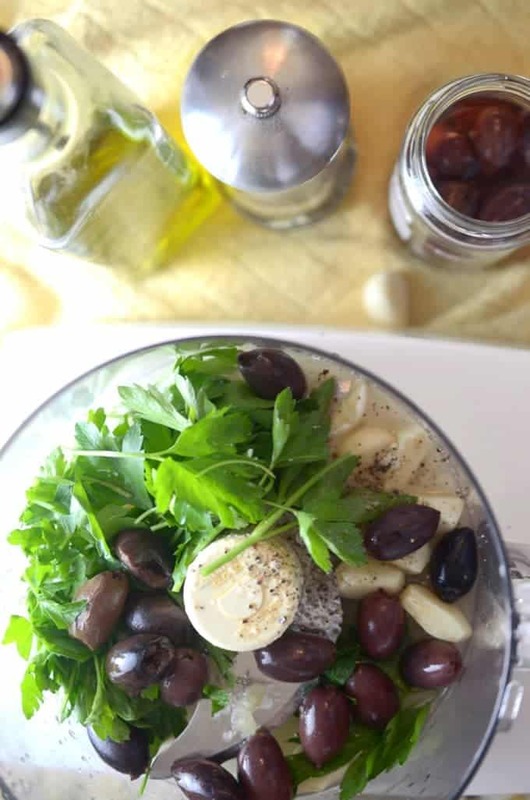 Preheat oven to 450° F. In a food processor, blend the olives, garlic, lemon juice, and parsley. With the machine on, add the olive oil and stir in the marjoram and season with salt. 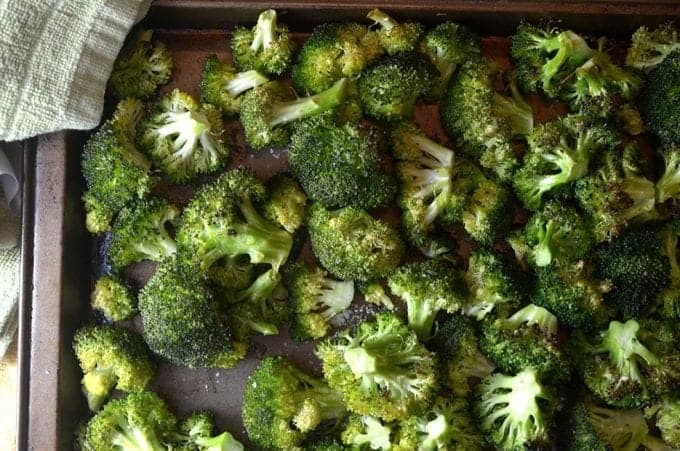 Using a rimmed baking sheet, toss the broccoli with about 2 tablespoons of oil; spread on baking sheet in a single layer. Season with kosher salt and roast for 18 minutes, until the florets are just tender. 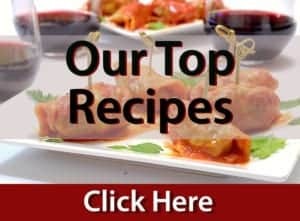 Allow to broccoli to cool. 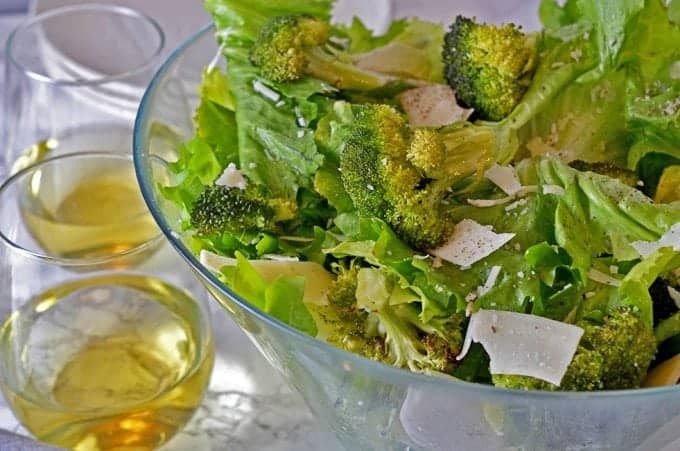 Adjust the amount of olive oil to y0ur desired consistency for the dressing. I love those kinds of “potluck” dinners. 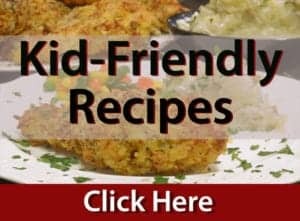 They are easier to prepare and fun as you never know what will be served. The salad looks not only healthy but also delicious! I love roasted broccoli, it adds a lovely sweetness to it. This dressing looks amazing too! Oh we love roasting broccoli in this house! I can’t wait to try this dressing and throw it on top!! I’ve always wanted to know what tapenade is…. now I know! This is super interesting…. 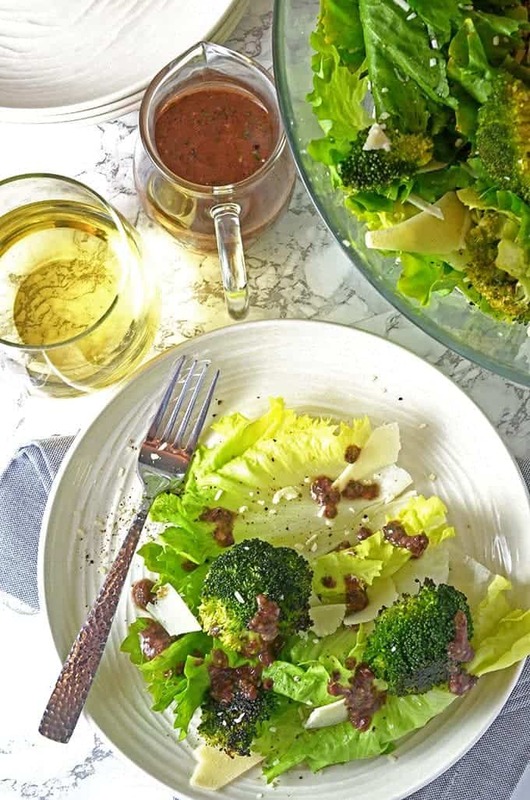 Escarole is such an underused lettuce — I love how you’ve dressed it up with broccoli here. Very healthy — and it’s something I can actually eat while I’m watching my carbs! Love it! Roasted broccoli is a dream, and I love how you’ve added so many great flavours to it! 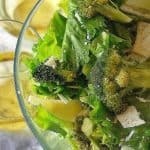 I love the idea of adding roasted broccoli to a salad!